Over the past few months it seems like we’ve been everywhere! From Orlando to Nashville to Washington D.C., we’ve traveled to see the newest and best the world of gaming has to offer. 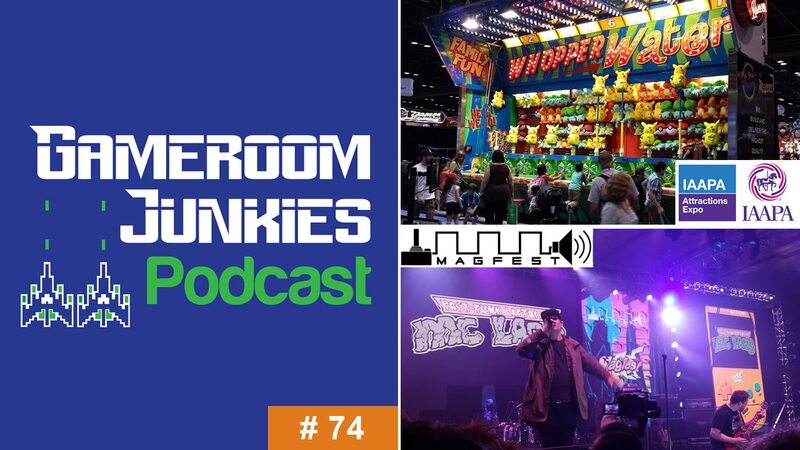 In this episode of the podcast we give you trip reports from four of our favorite places: IAAPA Attractions Expo 2017, Free Play Florida, Grand Ole Gameroom Expo, and MAGFest 2018. From the newest, yet-to-be-released games to some classics enjoyed for the first time, come along to hear what we loved and what we didn’t from each amazing venue. As always, we fill out the show with some of our personal gameroom updates and be sure to stick around until the end of the show for a special announcement. Enjoy! Don’t forget, you can listen to Gameroom Junkies by using the streaming player above, or you can subscribe to us on iTunes or Stitcher. If you like the show, please leave us a review. And remember, you can help support the show and save 10% on your next PinballBulbs.com LED purchase by using the code “gameroomjunkies” at checkout. You can find us on social media through Facebook and Twitter. We hope you enjoy the show, and remember, if you enjoyed the show and the other GeekDad podcasts, please consider throwing a few bucks into the GeekDad Patreon.